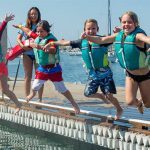 We love watching students in our ENS watersports classes grow and excel in the sport of their choice, however, there’s perhaps no greater reward than seeing the beginnings of life-long friendships and memories being made. 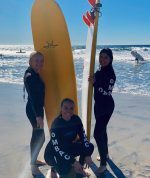 In this MBAC Story, we talk to SDSU Sustainability major, Summer Gray, about her experience learning to surf in a semester-long surfing class this fall. Q: Which ENS Class Are You Taking This Semester? A: Surfing this semester, but I also took Stand Up Paddling last spring. Q: What made you want to participate in an semester-long watersports class at MBAC? 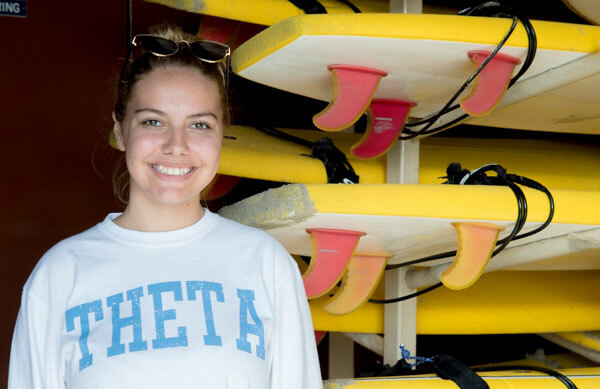 A: I went paddleboarding once the summer before I came to college and when I saw I could take paddleboarding for a whole semester and receive credit for it, it was like the best day of my life. I registered for Stand Up Paddling last semester and Surfing this semester. Now, I can’t imagine a semester without taking a watersports class at MBAC. Q: What is your favorite thing about your class? A: I love how awesome all the instructors are, regardless of what class you take. I also love how everyone is so supportive in the classes as well. When you learn a new skill or trick everyone gets excited and I get excited for my classmates as well! 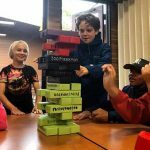 Q: What has been the biggest challenge you have overcome in your class? A: It’s definitely hard when you need to keep practicing a certain skill and might seem like others are picking it up faster, but keep trying and once you finally stand up on your surfboard or do a 360 on your paddleboard it is so satisfying and rewarding. Q: What has been the biggest surprise about your class? A: The biggest surprise I’ve had is always seeing cool things in the bay or the ocean. I didn’t grow up near the beach and every time I go out on the water I see some incredible things like fish or perfect sand dollars. One time my instructor even found a perfect sea shell right underneath us when we were surfing. So many beautiful things right next to you! Q: Would you recommend this class to other students? A: Yes! I try to convince my friends to take classes at MBAC with me every semester, it is such a fun and rewarding experience. Q: Anything else we should know about your experience? A: I was nervous for my first class here at MBAC but I was instantly comfortable once I met my instructors and classmates. There are lots of reasons to be scared to try something new but there are many more reasons to get out on the water and create lifelong experiences.